Filmmaker and professor at American University's School of Communication Chris Palmer's highly acclaimed new book, "Confessions of a Wildlife Filmmaker: The Challenges of Staying Honest in an Industry Where Ratings Are King," is part memoir, part confession, and part indictment of the cable and television networks for failing to put conservation, education, and animal welfare ahead of ratings and profits. I highly recommend his book to you. For too long we have seen repeated instances of appallingly bad television shows which feature the horrific abuse of nonhuman animals (animals), and it has to stop. This book will help and shock you. Dr. Palmer says - and I believe him - that the state of the wildlife filmmaking industry worsens every year. He convincingly argues it's time for wildlife filmmaking to move in a more ethical direction. Broadcasters such as Animal Planet, Discovery, National Geographic, and the History Channel must do better. It's time for viewers and filmmakers to make them. Film and television are some of the best tools society possesses to protect animals and encourage conservation. Dr. Palmer's first book, "Shooting in the Wild," published in 2010, looked behind the scenes of wildlife films, exposing an industry undermined by sensationalism, fabrication, and sometimes even animal abuse. Were broadcasters and filmmakers doing more harm than good by staging "money shots" to capture more dramatic footage and achieve higher ratings at the expense of the animals and truly natural behaviors? "Confessions of a Wildlife Filmmaker" is a memoir about Dr. Palmer's unusual childhood in England, his stern and demanding father, his emigration to America, his flaws as a dad, the superficial world of television, the foibles of environmental groups, the cruelty of SeaWorld, and the mistakes he made while struggling to excel as a film producer, stand-up comic, and teacher - and how all of these experiences shaped his views on wildlife filmmaking. It's also about how networks like Discovery, Animal Planet, and National Geographic are failing in their responsibility to produce and broadcast programs that are not only entertaining but also consistent with their founding visions. Dr. Palmer argues that the networks are full of honorable and ethical people who truly care about wild places and animals, but the business side of television seems to coerce them into behavior that sometimes harms wildlife, spreads misinforma­tion, and coarsens society's appreciation of nature. Of all of the ethical issues involved in wildlife films and filmmaking, animal harassment is one of the most troubling as well as one of the most challenging to combat. Dr. Palmer reports that most of the cruelty happens out in the field, with no witnesses to stop it or point it out to television audiences. Of course, animal harassment and cruelty have been per­vasive in wildlife filmmaking for decades. This harassment ranges from simply getting too close and disturbing animals to deliberately goading, harming, or even killing them. The use of live bait was a longstanding and common practice when filming predators, although, fortunately, it is no longer all that common. Dr. Palmer reports that one filmmaker he knows, under pressure from broadcasters to capture money shots, uses GPS technology to track and film his subjects more easily. He stuns animals such as hyenas with a tranquilizer gun and then slices open their skin with a sharp knife to implant a GPS transmitter, thus leaving the animals injured but easily trackable. Since Steve Irwin, Steve-O, Dave Salmoni, and Bear Grylls made it big on television screens, a plethora of copycat presenters have deluged the market. More and more networks are broadcasting nature shows about people who wrangle, mistreat, and slaughter innocent animals like alli­gators, catfish, wild hogs, and snakes. Examples include "Swamp People," "Call of the Wildman," "Rattlesnake Republic," "Hillbilly Handfishin'," "Moun­tain Men," "Yukon Men," "Wild West Alaska," "Duck Dynasty," "Animal Fight Night," "Shark Wranglers," "Under Wild Skies," and "Shark Hunters." Consider "Swamp People" (History Channel, 2010). It is about alligator hunters in Louisiana who go out daily during the hunting season. The hunters set traps, baiting massive hooks with rotten chickens or fish. 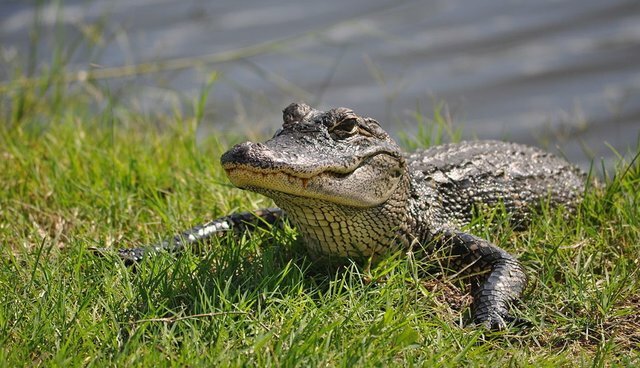 Alligators swallow the bait, and the hooks often become lodged in their stomachs. Sometimes the hunters do not return to check the lines until the next day. Obviously a gut-hooked alligator suffers horrendously during this waiting period. When the hunters finally return to the line, one of them pulls the doomed animal toward the boat. Once the hooked animal is in sight, another hunter shoots the alligator dead. People in Louisiana need to make a living, but does the History Channel need to make entertainment out of the relentless and barbaric slaughter of alligators? What message does that send children who are watching? Death surely is not entertaining for me. Shows such as "Swamp People" are suffused with brutality and cruelty to animals. They portray the environment as if it is nothing but a resource to be harvested and hunted. This cruelty seems to contradict the pro­fessed values of the networks airing these shows. So, how can cinematographers get satisfactory shots if they are not allowed to stress and harass animals or encroach on their habitats? Dr. Palmer says the solutions include using better cameras and longer zoom lenses; hiring local scientists; budgeting more money; showing more patience; low­ering expectations for blood, gore, and extreme close-ups; and embed­ding the photography in better and more biologically accurate stories. Filmmakers should also use disclaimers at the start of programs to tell audiences that certain standards were met during filming (such as, "no animals were harmed during production"; please see "Animals in Film: 'No Animal Was Harmed' Just Isn't So"). New tech­nologies like camera traps, remote vehicles, and drones can sometimes allow the capture of exciting, up-close footage while giving wild animals their space. Dr. Palmer writes that the more we humans learn about animal consciousness and sentience, the more we must reassess our relationship with these magnificent and fascinating beings. Even beyond that, however, we must realize that promoting brutality as entertainment is preying on the worst, most base parts of human nature. If broadcasters are only making these programs to appeal to audiences, then it is up to us, the audience, to speak out against the malicious harassment and killing of innocent animals. As I've written elsewhere, we can no longer con­tinue to be over-producing, over-consuming, arrogant, big-brained, big-footed, and invasive mammals who don't give other animals the respect, compassion, and love they deserve. Broadcasters need to get on the right side of history and rediscover their moral compasses. Every network executive should be sent Chris Palmer's book and made to read it. As well, everyone who watches nature films should also read and share this book widely. If people are going to use films to rewild and to reconnect with nature, we need to be sure filmmakers do it right. Viewers surely can play an important role in improving wildlife filmmaking if they air their concerns.